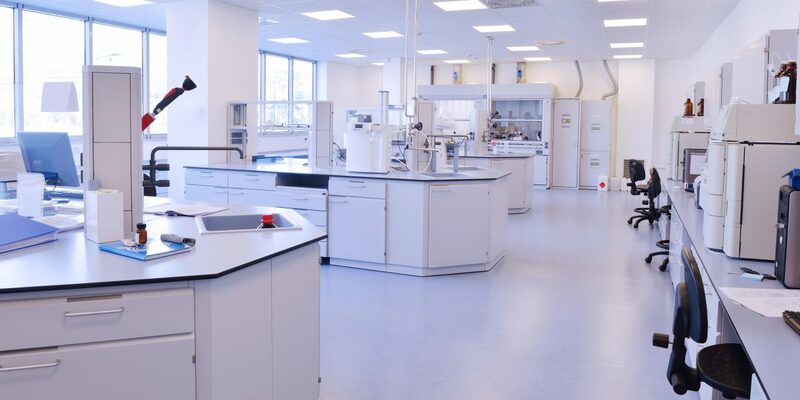 Laboratory compliance and efficiency can have a major impact on the success of the company to competitively manufacture and market the product. The interface between manufacturing and the QC testing environment is a critical component in this process and if there isn’t appropriate streamlining, there is a high probability that there will be a delay in the eventual release of the product for interstate/international commerce. What’s required to accomplish this is a ”hand in glove” mechanistic relationship which enables samples to be effectively analyzed according to a predictable metronome type of process. Using this approach, scheduling becomes easier and resources (both analysts and equipment), are utilize more effectively/efficiently to generate reliable, compliant results. This type of approach sets of baseline standard in place that subsequently lends itself to further improvement and optimization through the implementation of a continuous improvement strategy. This is a natural outgrowth of a mature organizational approach where the cumulative experience is used to benefit the overall objective. For most processes, in process analyses can be a bottleneck inducing source of delays that can have a significant impact. Analyses that take several hours to complete and report often cause downtime at the operations/ plant side of the manufacturing process and this develops several forms of waste, including waiting waste. For a plant manufacturing process be fully prove profitable, the operational uptime must be maximized (cycle time needs to be minimized), and the turnaround time of the equipment, at the end of the manufacturing process needs to be minimized. Only if these issues are addressed in concert will one develop fully competitive and efficient process. So, scheduling analyses, use of equipment (including appropriate maintenance), and having appropriate availability of analysts (staff), to perform the necessary work must be properly programmed, otherwise there will be delays and/or over staffing, both of which will be responsible for noncompetitive production. The major problem arising out of these situations is how to balance flow in and out of the laboratory, so that sample analyses do not add to efficiency and noncompetitive costs. One way to approach these issues is to employ a carousel/rhythm wheel to regulate inward flow and processing of analytical samples. Balancing flow using one of these tools/techniques can have a major effect on how resources are employed, and a bonus outcome that is frequently not recognized and/or appreciated, is the impact on the quality compliance related aspects the analytical processing. Like all areas of professional life, when the heat is on due to a timeline crunch, people (even experienced people), rush to take shortcuts with the inevitable result that mistakes occur. Working in a highly regulated environment like pharmaceutical production, this causes lots of quality/quality system related issues, which impact the compliance of the overall process until they are resolved. These issues not only impact the eventual ship ability of the product, but the delay significantly impact the cost of goods for the process and therefore the overall profitability of the process and product. Companies not employing these approaches are therefore wasting significant resources and damaging their competitiveness. Pharmaceutical consultants skilled in Lean Laboratory approaches can make a significant impact on these problems and as such, it is recommended to seek their help to generate an innovative solution to overcome these issues. Smart Pharmaceutical Consulting has made a major contribution to our manufacturing strategy and how we plan to operate our plant in the future.